President Reagan understood the best way government can help people is by providing better service at an affordable cost to the taxpayer. Nearly 30 years later, the Kansas Policy Institute found Kansans still hold the same belief. Roughly 60% said they wanted to revisit how education funding decisions are made in the state. Regarding the state’s growing shortfall, most Kansans did not want higher taxes to close it. They want their government efficient and accountable. Unfortunately, there are some Kansas policymakers who don’t seem willing to listen to their voters’ desires. From state legislators to even the state’s Governor-Elect, there is a belief that state government has shrunk and has been cut to the bone. Yet, state tax revenues are nearly $2 billion above inflation, and state spending growth is on pace to create a massive structural gap, risking another fiscal crisis. 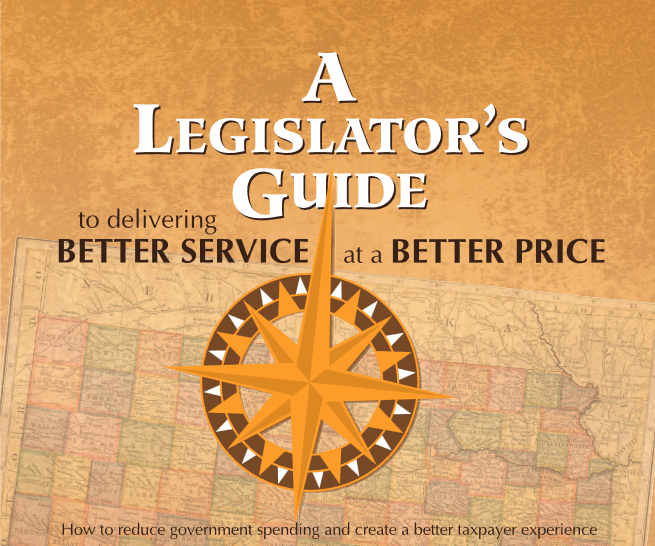 For this reason, the Kansas Policy Institute is merging two recent efforts, “A Legislator’s Budget Guide “ and “Better Service, Better Price .” This new series, “A Legislator’s Budget Guide to delivering Better Service at a Better Price,” will serve as a 2019 road map by which state legislators can deliver better government services at better prices. Don’t take these approaches lightly. The 2019 Legislator’s Budget Guide isn’t an easy fix to the state’s challenges. However, these measures should be considered if government is to give Kansans more freedom, foster creativity and innovation, and all around better help the little guy.